I consider myself one of the lucky few to have visited this wellness retreat. After attending a Balanced Body Pilates Conference in Phoenix, Arizona, I decided to take some 'me time' and spend a few days here at the Miraval Resort. It's only a short travel from Phoenix. On arrival I immediately felt like I had stepped into another world. The peace and tranquility of the location makes your stress levels diminish rapidly. The range of experiences and activities on offer is vast. I almost couldn't choose what I wanted to do the most. The staff are welcoming but discreet, you know they are there but they are not constantly asking if you need anything. The rooms were bright and clean, each with their own patio area. The food was excellent though in that kind of heat I find I don't have as much of an appetite. Make sure you drink plenty of water as the dry desert heat can dehydrate you very quickly. I had one of the best massage experiences outdoors in a canvas tent after dark. No relaxing music required, I was serenaded by the coyotes calling to each other in the dark. There was also the comforting sound of various nighttime insects going about their business. The views of the mountains from around the grounds is just stunning and looks different in each light of day. The resort is big enough to always be able to find a quiet place to read a book or just chill with a fresh green juice. There are a vast range of mindfulness and healthy experiences on offer. You will find something to suit everyone. Though there is no requirement to participate in any of the excursions, you choose your day as you wish. 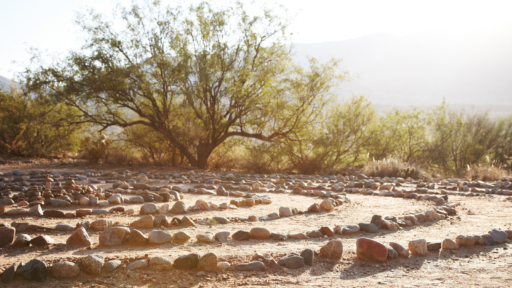 Oprah certainly got it right about Miraval, its a great place to visit for a few days rest and relaxation. I was able to clear my mind, focus on goal setting and make some important business decisions that required a step away from work. All whilst taking in the calm serenity of the Arizona desert. Traveling To Palma Mallorca This Summer? Why Not Check Out My Favourite Restaurant, Faun De Sant Joan.